Gallia Citizens for Prevention and Recovery typically have their meeting the second Monday of the month at noon in the Holzer Medical Center French 500 Room. GALLIPOLIS — Gallia Citizens for Prevention and Recovery have been shoring up their efforts recently to enact drug prevention policies in conjunction with school partners throughout the county, members said at a meeting Monday. According to Health Recovery Services and coalition member Erica Thornton, the group has met with Gallipolis City Schools officials and the Gallia County Local Schools officials. Efforts focus on drug and alcohol prevention as well as suicide awareness and prevention along with internet and cyberbullying awareness through a curriculum style program researched by the Gallia CPR Prevention Committee. Around 75 area students from six counties also took part in a recent program called “Teen Institute” which focuses on encouraging healthy life decisions and leadership in youth. “Hearing kids say that they were happy they came to (the camp) to get away from home and what they have to deal with…and see these kids be able to have a fun time and meet new people and be themselves around people that are positive youth mentors and positive adult mentors who are drug and alcohol free and know that we have scholarships for them, it makes me happy,” said Thornton. Gallia CPR Chairperson Thom Mollohan noted this was “significant step forever” culminating in several weeks of work to put such measures in place. 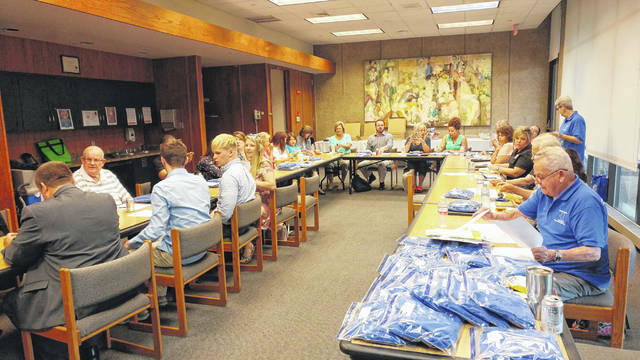 Community Connectors Gallia Coordinator Lisa Carroll said the group is searching for mentors as part of its STAR program in hopes of providing role models for students selected by school officials who they feel may benefit from the program. Potential mentors have BCI and FBI background checks, said Carroll, and the group could utilize more male figures in its efforts. For more information, visit the Gallia Citizens for Prevention and Recovery Facebook page.